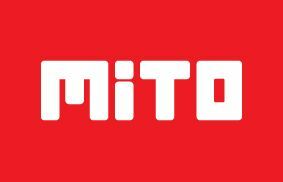 PC Tablet market growth prods Mito Mobile to release a new generation device equipped by latest technology. Prime T330 packs all the power you need to enjoy the latest games and apps at their best, thanks to an impressive 1.2 GHz quad core processor consists of both two computer and two graphic units. This tablet is reliable to play clear and sharp high definition graphics without a hitch on 7” capacitive touchscreen. You can enjoy a superior viewing experience and make the most all your entertainment. Prime T330 is supported with dual GSM running on frequencies 900/1800/2100 MHz. It gives you accessibility to 2G and 3G bands, making this Android Jelly Bean 4.1 handheld perfect for chatting on BBM™, web browsing, and more. Prime T330 makes sharing easier, you can do video calls with a 0.3 front sensor or capture your stories with a 2.0 MP rear camera and send them to friends and families through social media. The sleek Prime T330 tablet has a slim body with only 8.8 mm in thick. Its appearance is designed to elegantly encase the powerful performances inside. With affordable price, Prime T330 is a well-fitted stylish gadget for your mobile lifestyle.